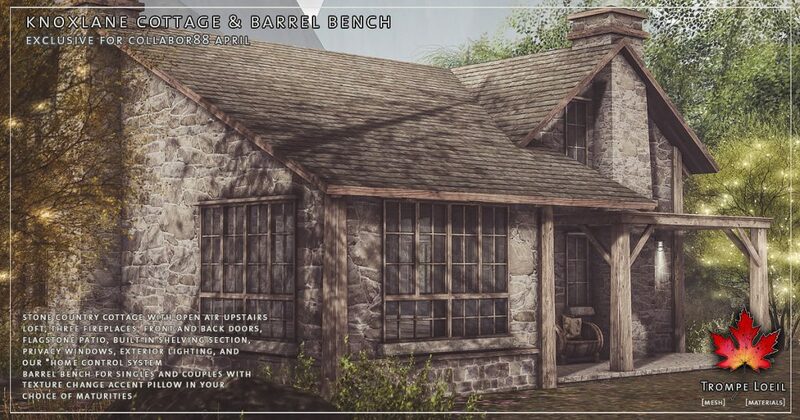 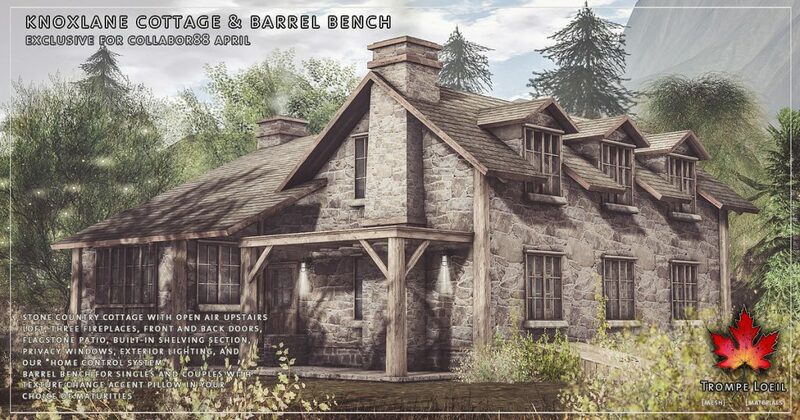 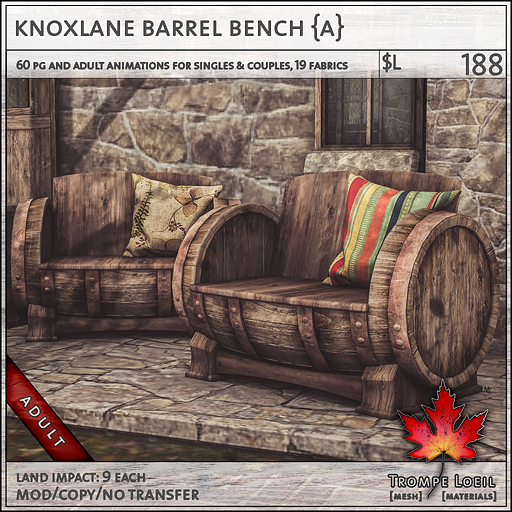 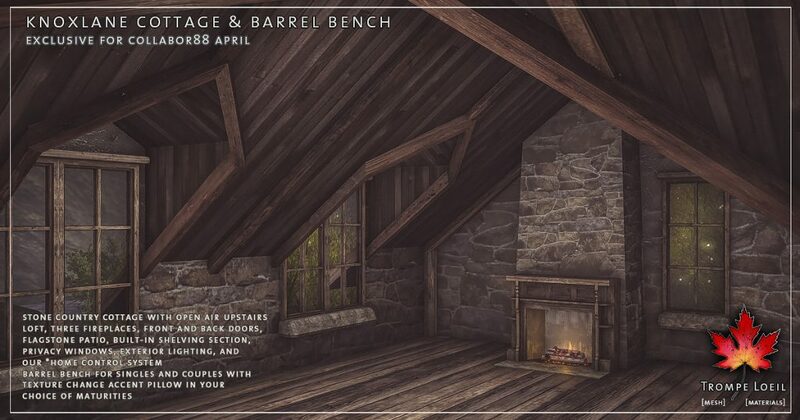 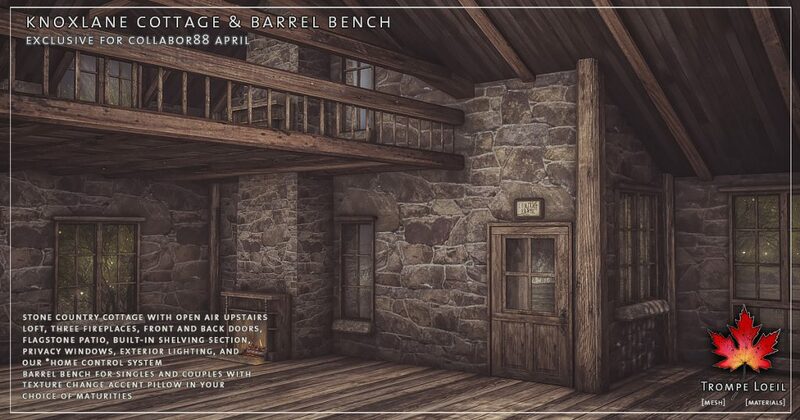 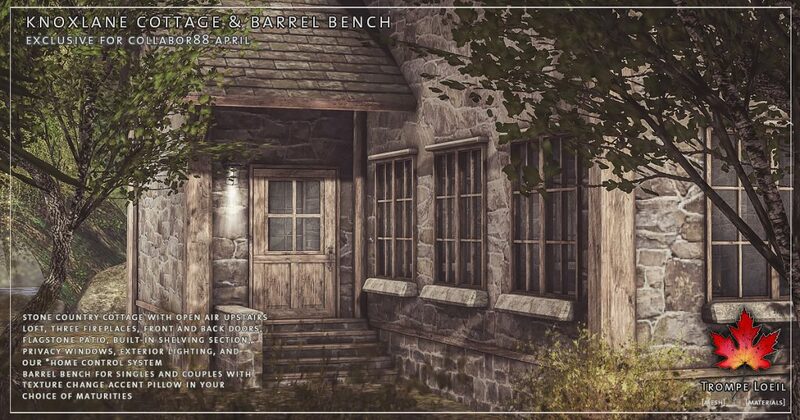 Come home to rustic country simplicity – repurposed worn woods, weathered stone walls, and the warmth of natural fire in every corner to keep the spring chill at bay – the Knoxlane Cottage and matching Barrel Bench for Collabor88 April! 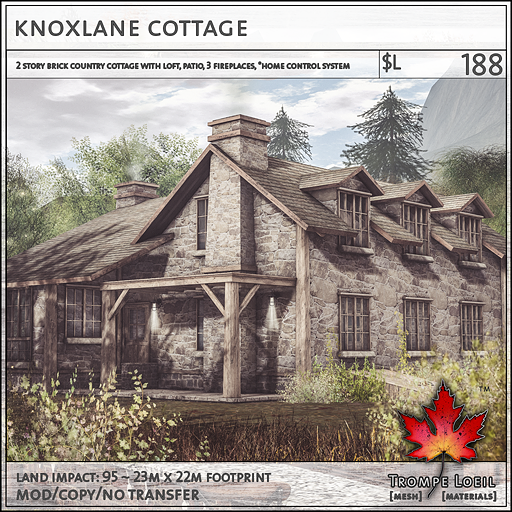 The Knoxlane Cottage is a two story stone country cottage, with front and back entrances, covered flagstone patio, three fireplaces, bay window dining nook, built-in shelving, open upstairs loft, exterior lighting, locking doors, privacy windows, and our *home control system. 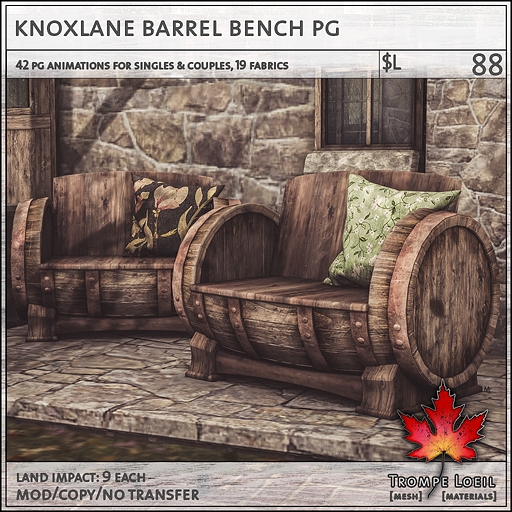 Plus, our matching Knoxlane Barrel Bench is a fun and unique style for any country, rustic, or rural setting! 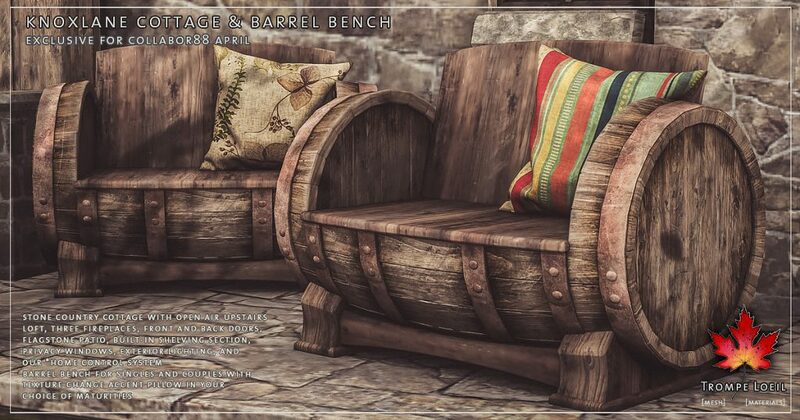 19 accent pillow textures and tons of animations for singles and couples in your choice of maturities. 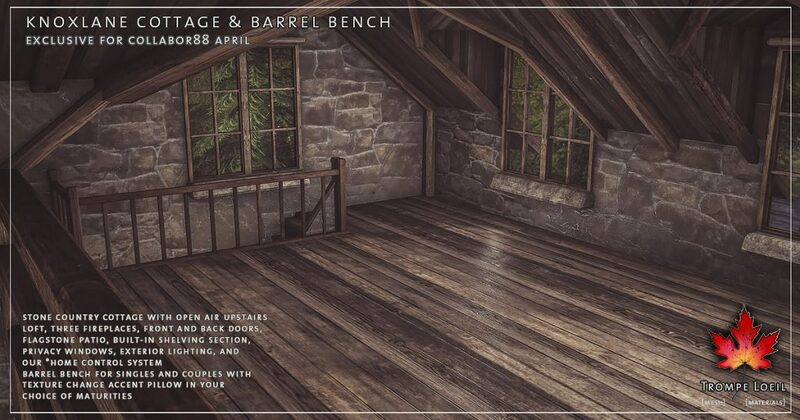 Only at Collabor88’s April round!